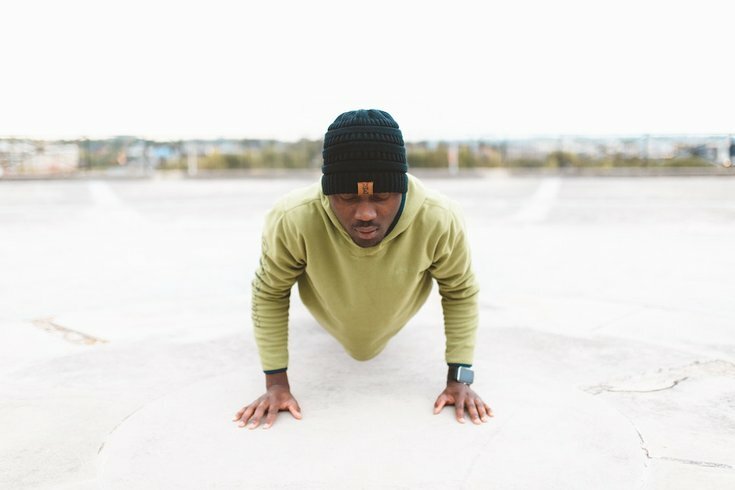 Push-ups, one of the most dreaded parts of many workout sequences, boast the ability to improve range of motion and strength in a golf swing, softball pitch or tennis serve, a new study finds. The pushup plus, is a take on the challenging move which includes an added step of actively separating the shoulder blades. According to a team of researchers out of the University of Waterloo, who studied the modified move, it is a highly adaptable exercise that can be customized to help individuals with specific needs or goals. The pushup plus involves changing hand positions and keeping the legs off the ground. Completing the push up plus is of the most effective exercises to strengthen the serratus anterior, the muscle that connects the rib cage to the shoulder blade. A weak serratus can lead to shoulder fatigue and injury, according to the university’s announcement. In the study, researchers examined 20 healthy male subjects while they experimented with different hand positions and orientations to see which variations would better target and strengthen the serratus. According to the university's announcement, kinesiology professor Clark Dickerson said they were asking: “Can we change the muscles that are being recruited?” They found that all variations helped strengthen the serratus, but that some variations were more successful at activating and strengthening other muscle groups. Researchers studied just about every pushup plus position possible: hands above the head or lower than the head, hands rotated toward the body or away from the body, and on flat palms or on knuckles, CBC News explains. All the while, researchers discovered that combinations of those moves — for example, doing the pushup plus on knuckles with hands extended above the head — can be used to result in better muscle engagement, CBC News reports. The research team believes a great way to expand upon the findings of this study is to work with physiotherapists to see the benefits of pushup variations in individuals with shoulder problems, CBC News adds. "Breast cancer survivors is a very big group of patients who have really pronounced decrease in shoulder function," Dickerson noted. Researchers also found these modifications can help athletes who want to both strengthen and, arguably more importantly, stabilize the muscles involved in shoulder rotation, especially when playing golf or softball/baseball.